We all know and admire the power of Ganesha and many of us love to keep certain pieces of art which act as a resemblance Read More..of His greatness. 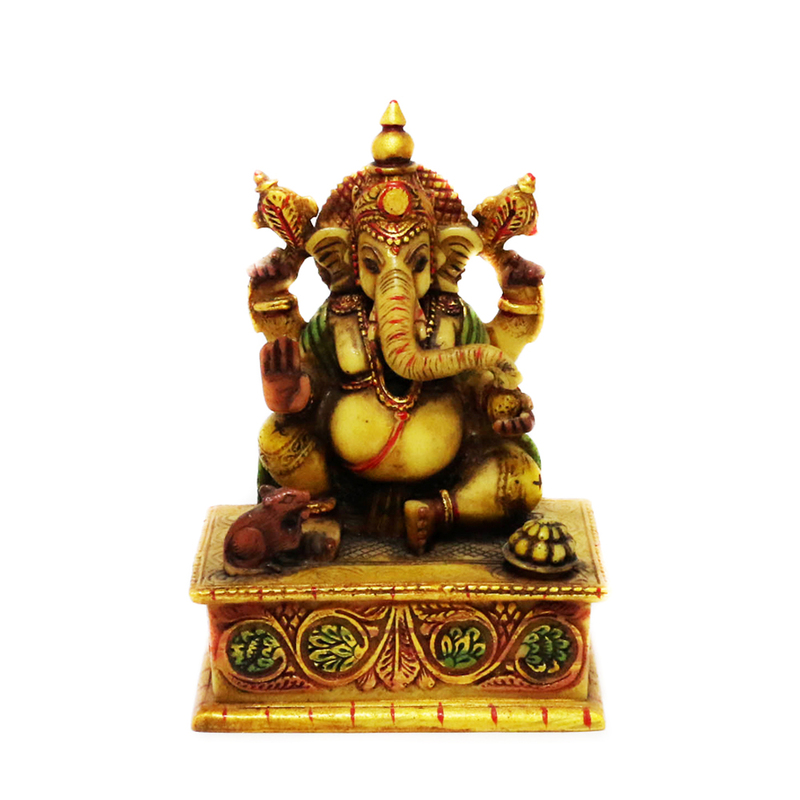 This Ganesha made out of Marble Sawdust is one such kind and comes in darker shades of yellow. The idol is fixed to a squarish platform which is painted with beautiful designs. the seated Ganesha is accompanied by His favorite Mushak and Modaks. Show Less..